We are now less than a month until the release of what is expected to be Hugh Jackman's final outing as Wolverine — the character he first appeared as 17 years and eight movies ago (nine if you include Deadpool). To date, Logan has had somewhat of a nontraditional marketing scheme. 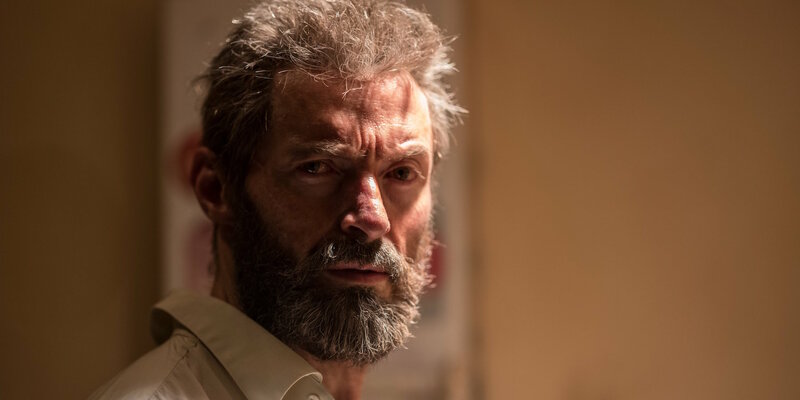 The first trailer for the film was released a little less than four months ago, while a majority of the film's teases have come from Hugh Jackman and director James Mangold's social media accounts. The second trailer for Logan dropped last month, giving us our best look yet at X-23 doing what she does best — kicking you know what. During last night's (crazy) Super Bowl, Fox debuted a new TV spot, which continued to tease the bleak setting of the film, as well as Logan's connection to Laura Kinney; someone who is "very much like" him. Now, with Logan's release just weeks away, fans can likely expect a few more tantalizing promotional teases before the film officially premieres in theaters... and one of them just dropped. 20th Century Fox has released the first clip from Logan (see the video above), in which we see Hugh Jackman's Wolverine coming to the defense of a man (played by ER's Eriq La Salle) who is being threatened by three other men. In the clip, the men tell La Salle's character that he is trespassing, despite the fact that he had a lawful easement with the property's previous owner. That is, of course, when the muscle — Logan — steps in. The clip is short and sweet, but continues what previous promotional materials have done — tease the film's particular setting, as well as the wear and tear that is all over Logan's face (it has been a long road). It is not entirely clear at what point in the film this clip takes place, but considering the absence of Laura Kinney and Charles Xavier (granted, they could just be inside) the smart money may be on Logan's earlier moments. Logan is not expected to be like any X-Men film fans have seen before. Following Deadpool, Logan will be the second film in the lucrative franchise to carry an R-rating. However, the tones of the two films will be drastically different. Where Deadpool was a raunchy action-comedy, Logan is being set up as a much more serious neo-Western; one that just happens to feature the last few mutants alive. The film's more serious tone is evident from the trailers, images, and this new clip. Logan's world is much different than any we have seen to date in any X-Men film. But we won't have to wait much longer to see it.